"LUZ" BEST LATIN JAZZ CD OF THE YEAR 2013!!!! 'LUZ" BEST LATIN JAZZ CD OF THE YEAR 2013!! I just found out that noted Jazz journalist W Royal Stokes, in his "Best of…" list, published a week ago in the "Jazz Journalists Association" website, named "LUZ" "THE BEST LATIN JAZZ CD OF THE YEAR 2013". A great way to end of the year. Once again, my very special thanks to everyone who participated in the creation of the "LUZ" project. We all, as a wonderful team, did it! Un abrazo!!!!! SUMPTUOUSLY PRODUCED, BEAUTIFULLY EDITED, ELEGANTLY VIRTUOSIC AND ENTIRELY ORIGINAL!! 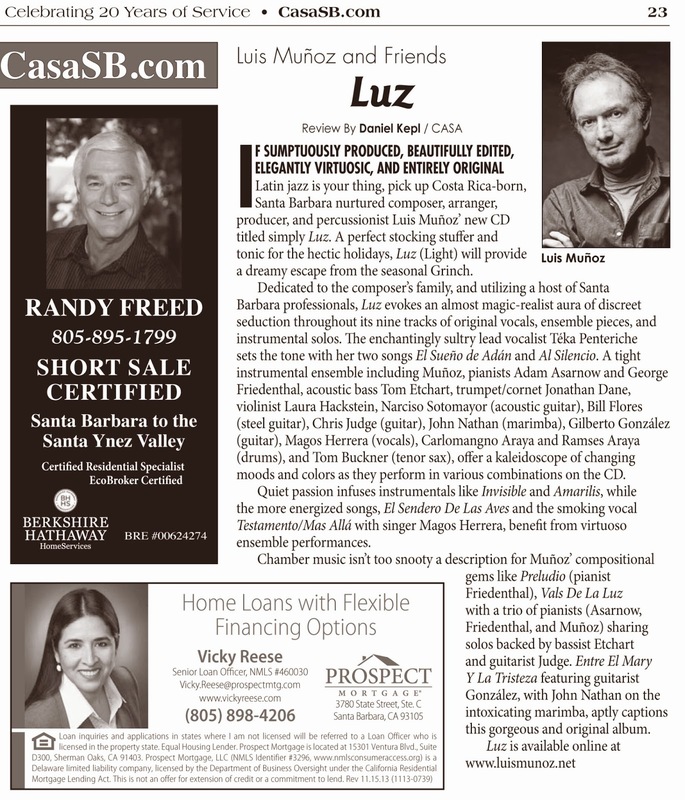 The latest review of "LUZ", this one by Daniel Kepl on "CASA MAGAZINE"